If you love pizza as much as we do (and who doesn’t?!) 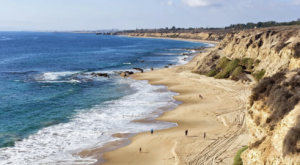 then you’ll want to check out this Southern California pizzeria that’s known for its mouthwatering food and giant pizza pies that will make your jaw drop. 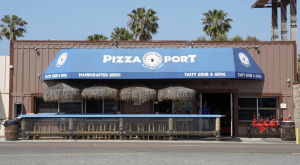 Here’s a look at where you can find one of the biggest and best pizzas in SoCal. Welcome to Pizza D'Oro! You'll love this old-school Italian eatery with red-checkered tablecloths and cozy leather booths. 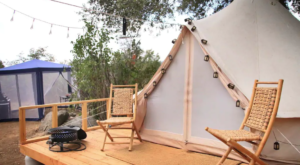 It's so old-fashioned it even has a gumball machine. 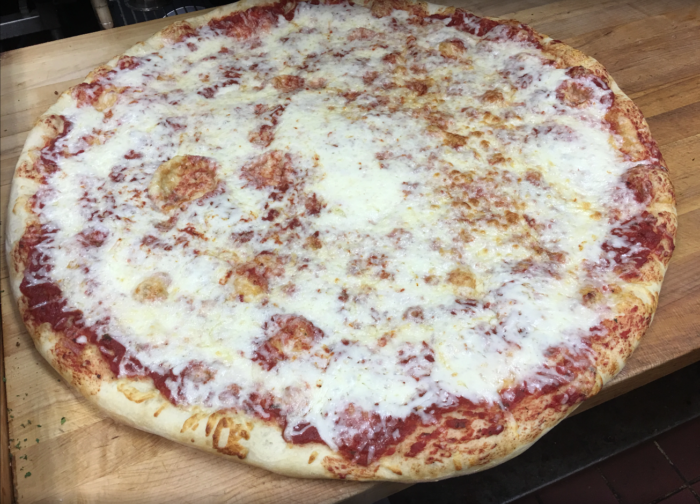 Since 1978, Pizza D'Oro has been making some of the best and biggest pizzas in Southern California. That's over 40 years! 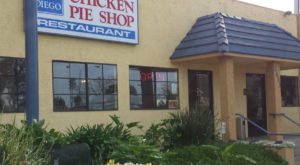 Known for their tasty pizza pies and huge portions, this is one SoCal eatery where you will not leave hungry. 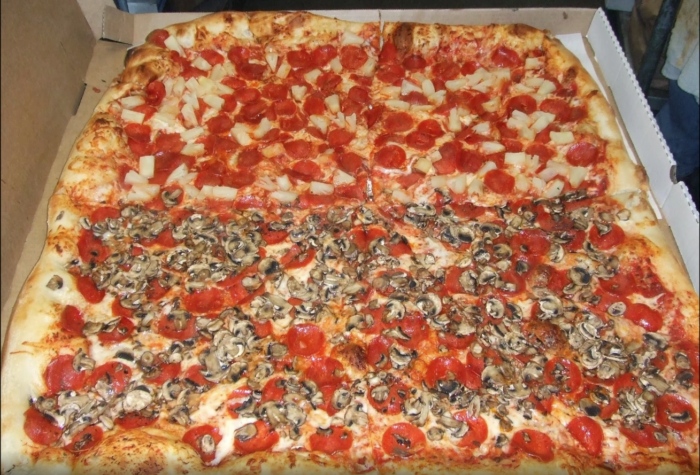 With a pizza this big, you can order a half and half so that everyone in the group will have their favorite toppings. When you're feeding a big crowd, you can order up to a 28-inch pizza. That will get you 54 pieces of pizza to savor. That sure is a whole lotta pizza! 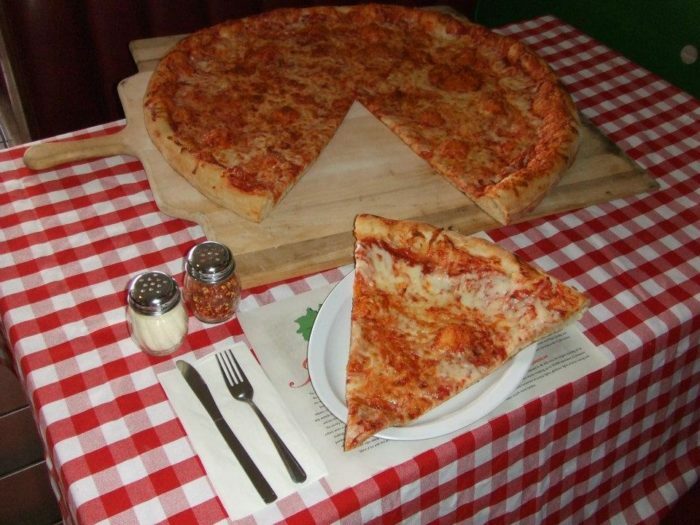 In addition to giant pizza pies, you can also order pizza by the slice at Pizza D'Oro. Based on the looks of it, the size of this slice is quite large as well. This could be an entire meal! 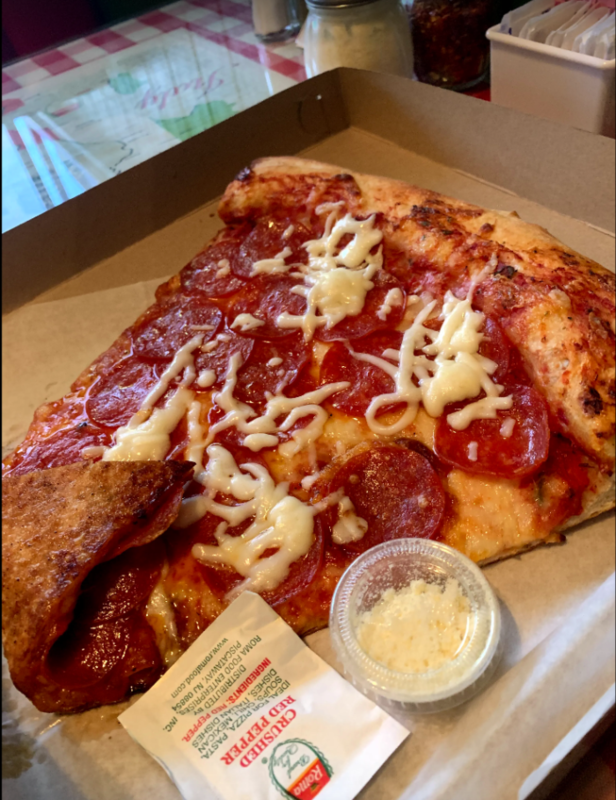 If you're short on time you can always order a slice to go. Be prepared, as the slices are so big they almost don't fit in the box! Or go ahead and add a hearty salad to your meal to get your daily veggies. 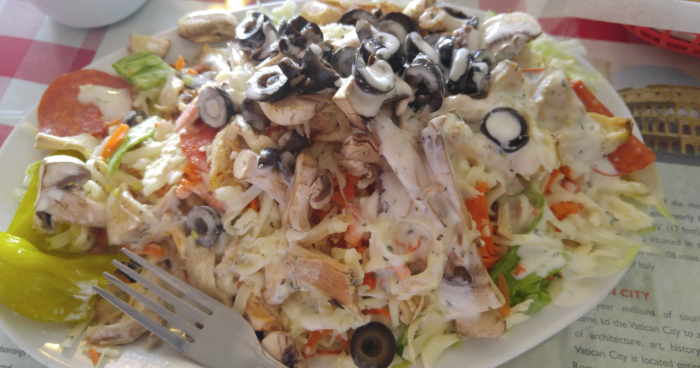 The salads are almost as big as the pizzas and are loaded with all of your favorite fresh toppings. 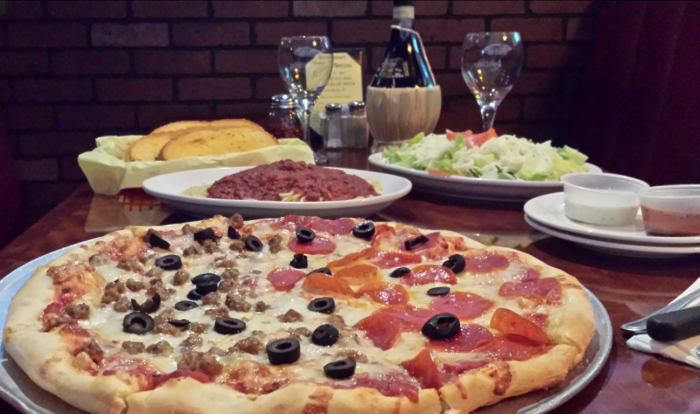 More than just a pizzeria, you can also order all of your favorite Italian specialties. 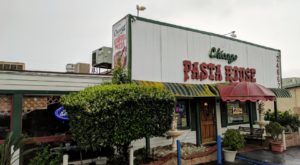 From spaghetti to garlic bread, and even a bottle of Chianti, this place has everything. As if a big pizza wasn't enough, they also make novelty pizzas that will make quite a statement. 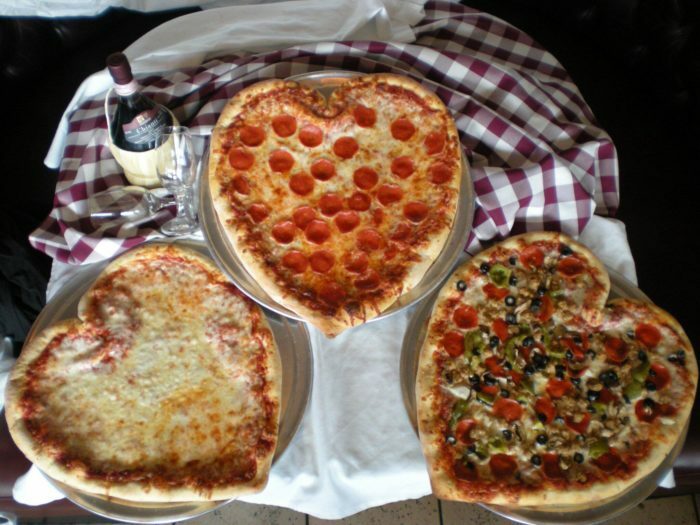 Perhaps you'd like a heart-shaped pizza for Valentine's Day? Or maybe you need a pizza that spells out a special message? 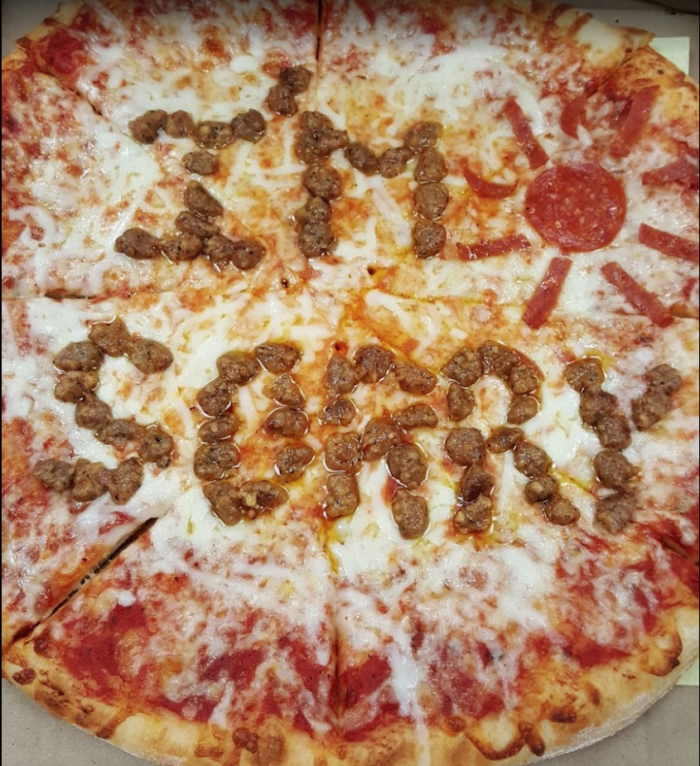 We think this "I'm sorry" pizza is a great way to apologize. 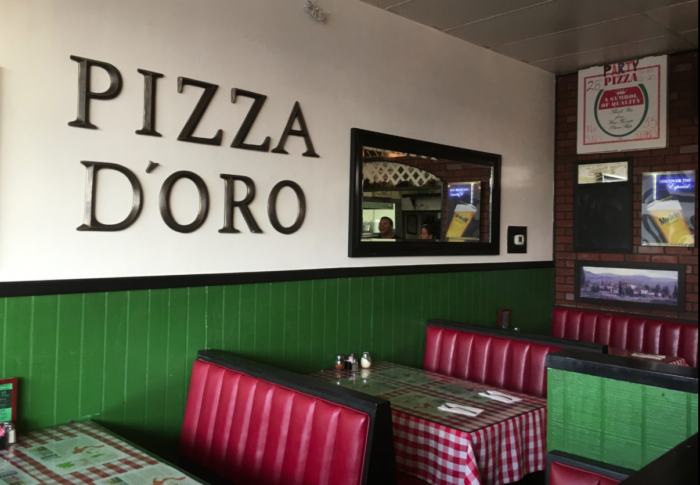 With multiple locations in SoCal, you can get your pizza fix at Pizza D'oro anytime you like. 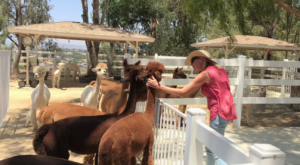 Located in Costa Mesa at 1145 Baker St, Costa Mesa, CA 92626; In Huntington Beach at 5046, 8468 Indianapolis Ave, Huntington Beach, CA 92646; In Fountain Valley at 10585 Slater Ave, Fountain Valley, CA 92708. 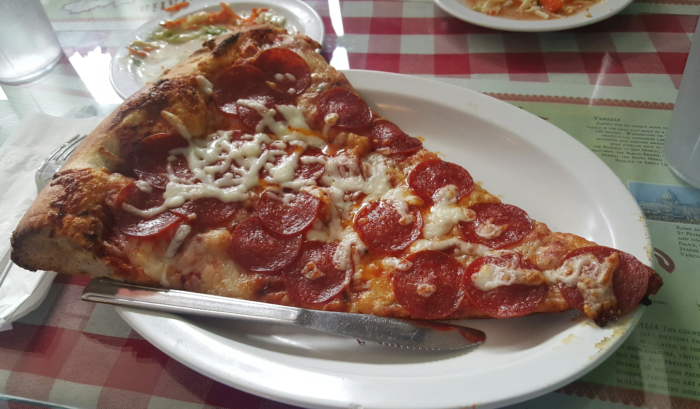 If you’ve ever had a giant slice of pizza or an entire pizza pie at Pizza D’oro, we can pretty much bet you love this place as much as we do. 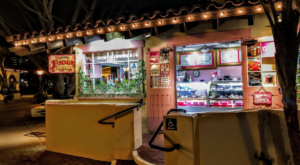 If you’d like to take a closer look at their menu and restaurant hours, you can check out their website right over here. 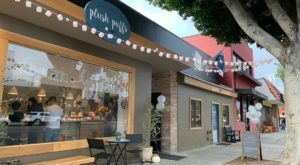 If you want to know where all the best pizza joints are in Southern California, you may also want to check out these 10 pizzerias that are simply amazing.